Now that I have the campden tablets to treat the chlorinated water, I’m ready to start the next brew. I prepared five gallons of filtered water yesterday in preparation. I used a whole tablet in five gallons, though that seems to be overkill from what I’ve found online. I got this brew day started pretty early, because I have to travel to my parents’ for a late Thanksgiving holiday this afternoon. 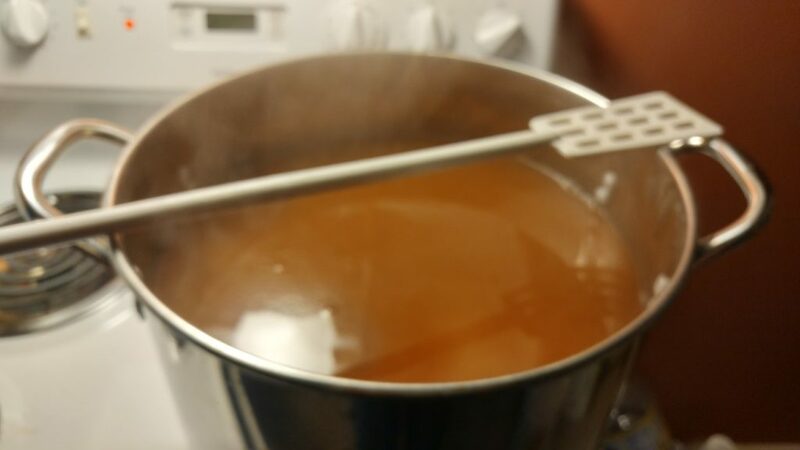 By the end of the boil, I was afraid this five gallon brew pot was going to boil over. 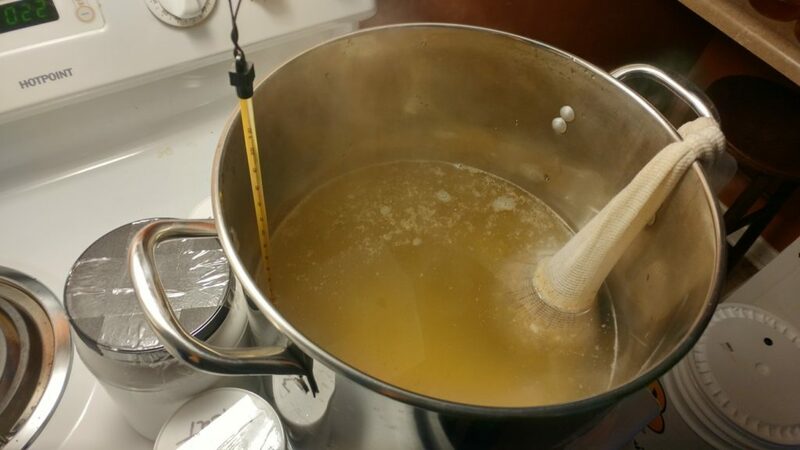 I found that these Adventures in Homebrewing/Austin Homebrew Supply recipe kits will sometimes call for a partial ounce of hops, but the package will include a full ounce. I hadn’t ever noticed it before, but caught this one in time. The recipe calls for 1/4oz of Perle and 1/4oz of Spalt, but the package included a full ounce of each.